Get Thanksgiving Songs by Extracting from Movies? Solved! As Thanksgiving Day is coming, you may be collecting a lot of Thanksgiving songs for a special party, used it as a ringtone for your phone, etc. One of the simple ways is to search on the Internet to find those theme-related songs and then download and save them. Now there is another possible way to get such kind of music files, for example, when you watch a Thanksgiving movie or video, you encounter a nice little interlude in this movie, and then you can extract the song by using an audio extractor tool. In this article, we're going to show you the guide on how to extract songs from Thanksgiving movies or videos effectively. 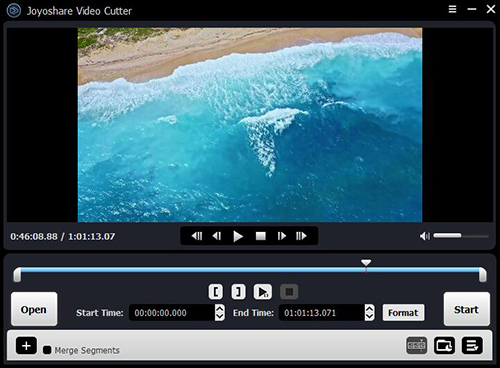 Joyoshare Media Cutter for Windows (or for Mac) is not only a video cutter and editor, but also works well as an audio extractor, which means that it can helps users to extract sound from video files with high quality retained in a fast speed. In other words, if you want to get Thanksgiving songs from relevant movies and videos, you can easily use Joyoshare Media Cutter to extract them, no matter what formats they are. This is because the program supports a wide range of input and output media file formats including MP4, M4V, AVI, MPG, 3GP, WMV, ASF, RM, MOV, FLV, MKV, as well as MP3, FLAC, AIFF, AU, OGG, WAV, AAC, AC3, etc. Besides, you can also cut and remove the unwanted parts of the source without quality loss, or enhance the songs by adding special effects, etc. Also, you're allowed to customize the codecs, channel, quality and other parameters as you like. 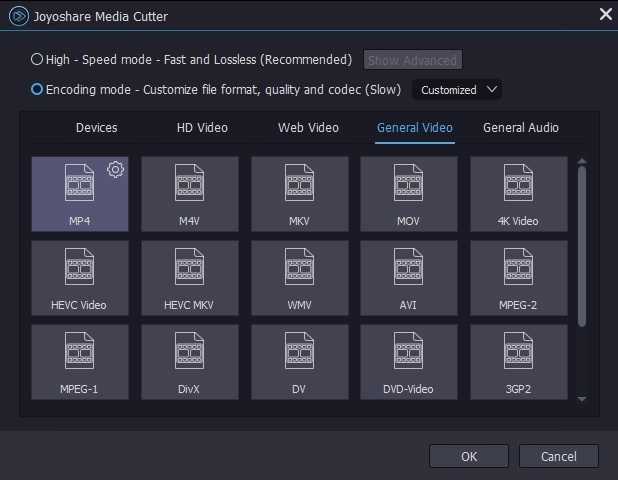 Next let's move to the instruction on how to extract Thanksgiving music files from movies and videos step by step with Joyoshare Media Cutter. First of all, please make sure you have already downloaded and installed the app to your computer. Simply open Joyoshare app on the desktop, and then click the "Open" button to add Thanksgiving movie that you want to extract the songs from. 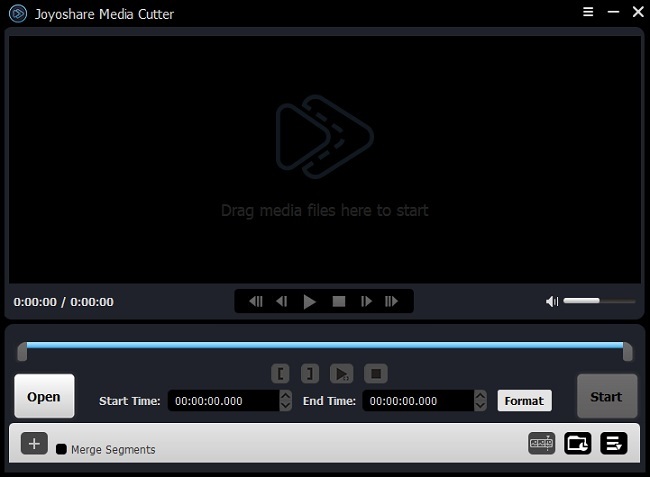 Alternatively, you can just drag and drop the target video to the interface of Joyoshare Media Cutter. Suppose in this Thanksgiving movie, there are two music files you'd like to get. You can simly preview and listen to it. When you find the specific ones, just move the slider to determine the start time and end time for cutting. Note: You're also enabled to edit the source file after clicking the Edit icon beside it, and then add special sound effects, adjust the volume, etc. Next, click the "Format" panel to choose a suitable output format for your Thanksgiving song. There are two kinds of output mode for you - High-speed mode and Encoding mode. The former allows you to extract songs from video fast and losslessly, while the latter allows you to edit and customize the output preference. No matter which mode you choose, please select the "General Audio" option and get a desired format such as MP3, WAV, AAC, WMA, FLAC, OGG, AIFF, M4B, M4R, MKA, etc. Note: On the top right corner of each format under the Encoding mode, there is a Gear icon . You can change the codec, sample rate, channel, bit rate, etc, if you like. When everything is set, now click the "Start" button to let Joyoshare start to cut and extract songs from this Thanksgiving video file for you. Wait a few seconds, and you'll get a Thanksgiving song on the local folder of your computer. Note: Now do the same operations from step 2 to step 4 to get another Thanksgiving songs from the same movie file without quality loss. Hope you enjoy it. If you have any idea or suggestion, please leave a comment below to share with me.